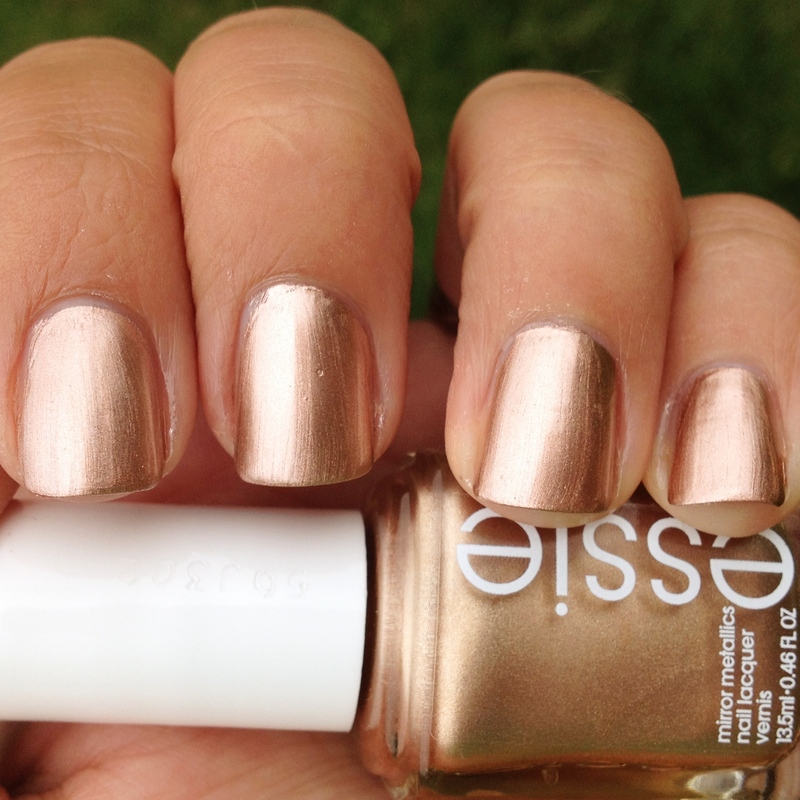 Essie Penny Talk Swatch And Review | Polish Me, Please! 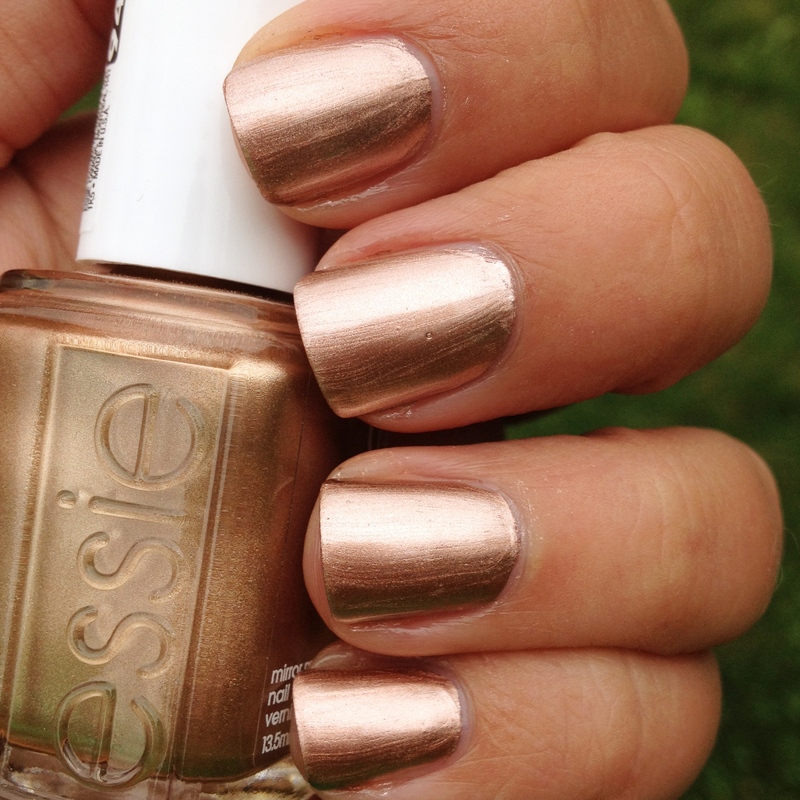 Essie Penny Talk is the color of a perfect new, shiny penny. And it’s metallic- surprise! I had no problem whatsoever with application. It was opaque in one coat, but I added a second just to smooth out the edges. I NEVER wear less than 3 coats, but I felt like it was unnecessary to even use two with this polish. Also- I didn’t find it too streaky at all. I have it and found it to be a huge mess, but, I was in a hurry. I am willing to give it another shot with more careful application. Oh, and I loved the color! Hmmm I wonder why it’s such a pain for some people. I wasn’t extra careful or anything but I did let the first layer dry for like a minute before doing the second. Maybe that made the difference. ? now see poo on you becuase they look fabulous on you! I was getting streaks and all kins of mess. was too imperfect for me. Did you use a base coat? As I said on twitter, I think this color looks amazing on you. I don’t think it would look too good on me. 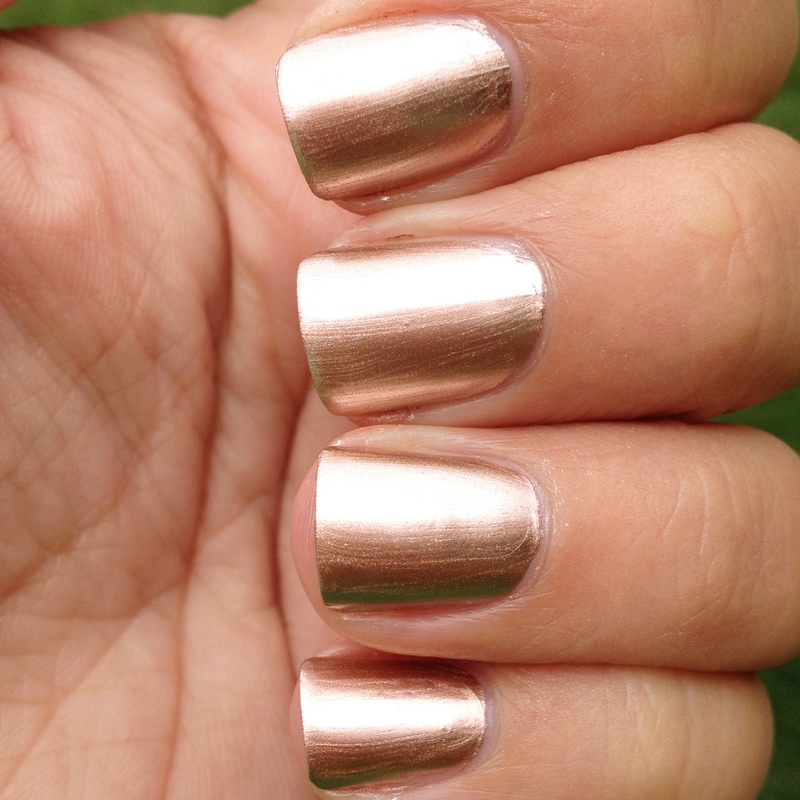 I think metallics look kind of icky on my dark skin so maybe that’s why they’re not that appealing to me. Last year there was a color club collection that was like shimmery metallics that I thought was pretty cool and I did get it. I should swatch it some time. Oh, and….Dang Gina! Your nails are getting long, girlfriend. I bought a couple of the super old metallics from CG and they do show every single bump/ridge. A ridge filling base coat helped but it still drove me bananas. Oooooooh so golden, I like it!! Oh good! Thanks! I liked the pretty almost pinkish copper color 🙂 I kinda want the others now.